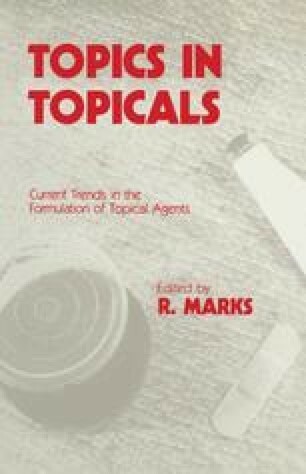 The relevance of thermodynamic activity in the formulation of topical preparations is discussed. In some situations the microviscosity of the base is also important and the technique of photon-correlation spectroscopy has been used to assess this in some gel systems. The in vitro results are compared with some in vivo data obtained from a rabbit model. The fate of a topically applied drug may be predicted using a simple pharmacokinetic model which is described.